This journey gives you maximum time in the field in one of the world’s greatest places to watch the interplay of predator, prey, and scavenger in their natural habitats. 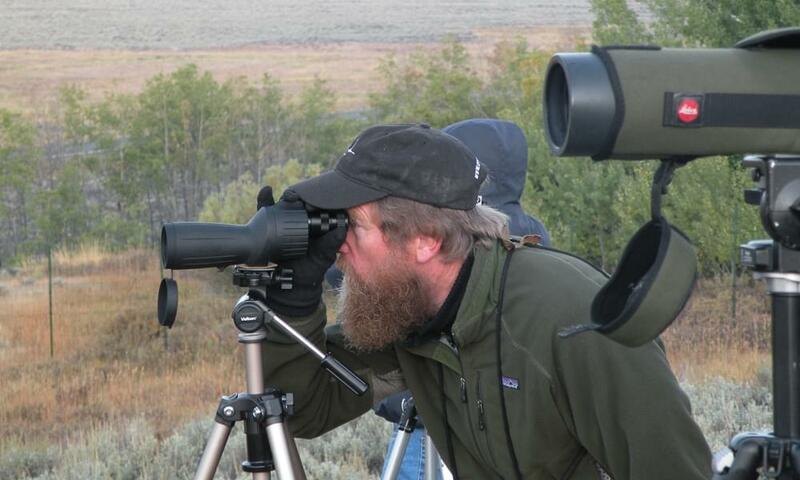 Leading the way is a local naturalist who knows the territory and its wild residents well, and has a well-developed knack for spotting wildlife. Spring and fall departure dates are carefully chosen to coincide with unique viewing opportunities. Spring brings the return of migrating birds, juvenile wildlife (otherwise known as cute babies), and a satisfying sense of renewal. Fall brings the rut (think bugling elk, wallowing bison, and sparring bighorn sheep), and very active bears trying to eat as much as possible to fatten up before hibernation. Throughout the trip you’ll spend time in the park’s most famous and productive wildlife watching hotspots, like the Lamar and Hayden valleys. In between your dawn and dusk wildlife watching, you’ll take in some of Yellowstone National Park’s other highlights, including the awesome Grand Canyon of the Yellowstone, Old Faithful, Mammoth Hot Springs, and a variety of phenomenal geothermal features. Amateur naturalists and photographers love this trip! Wildlife Watching: This trip is all about wildlife watching. Of all our journeys, this one gets you out in the field the most and keeps you there the longest. Learn park ecology: Learn about the relationships between predator and prey, and the connections between species and habitat, in one of the most intact ecosystems in the contiguous U.S.
See Yellowstone highlights: See Old Faithful and the Grand Canyon of the Yellowstone and explore the odd thermal features of beautiful Norris Geyser Basin along the way. Outdoors for up to 6 hours each day, short walks of 1-2 miles each day over primarily easy, even terrain. Rise early each day, spend time in potentially inclement weather, with some entire days spent away from the hotel. Meet your guide in Bozeman this morning and begin the week’s adventure with a drive down the scenic Gallatin Canyon. Keep an eye out for elk, bighorn sheep, and possibly moose throughout the drive. In West Yellowstone, we’ll visit the excellent Grizzly and Wolf Discovery Center, then follow the Madison River into the heart of Yellowstone National Park. Along the way we’ll explore boardwalks through geyser basins and see Old Faithful. Dinner will be early so we can enjoy some evening wildlife watching. Today’s sightings may include bald eagles, osprey, bison, pronghorn, mule deer, white-tailed deer, elk, coyotes, black and grizzly bears, sandhill cranes, and great blue herons. We get an early start this morning, driving north to the Hayden Valley looking for bison, moose, grizzly bears, black bears, and harlequin ducks along the Yellowstone River. We enjoy a picnic lunch then drive past bubbling mud pots and the steaming fumaroles of Dragon’s Mouth on our way to the breathtaking Grand Canyon of the Yellowstone, with its spectacular waterfalls. A hike along the rim provides great photo opportunities! This evening, more wildlife viewing. The broad Hayden Valley is one of the best places in the park to view wildlife, and we might see bison, elk, grizzly bears, coyotes, wolves, and more. The afternoon brings us to Mammoth Hot Springs, where we can walk the network of boardwalks through the fascinating travertine terraces, created by thousands of years of geothermal activity—and still going! Also in Mammoth, the Albright Visitor Center is well worth checking out. Getting out early offers the best chances of seeing wildlife, so we’re off first thing to the Lamar Valley (“America’s Serengeti”) in the northeast corner of the park. This wide valley is home to several wolf packs and great herds of bison. The Lamar offers some of the best odds of seeing wolves. Around midday we go to Cooke City for lunch and a visit to the Silver Gate home and studio of wildlife photographer Dan Hartman. There will be optional, easy-going afternoon hikes today and additional, optional, wildlife-watching opportunities this evening for the die-hard naturalists. If the group is up for it, we squeeze in one last wildlife-viewing morning in the Lamar before a nice hike to stretch our legs. 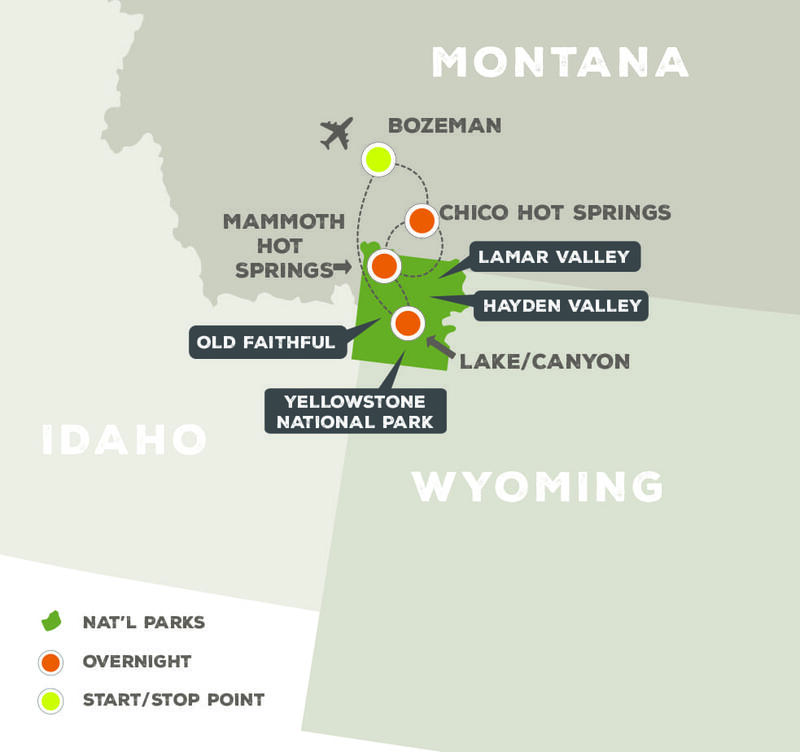 Leaving the park behind, we follow the Yellowstone River through the aptly named Paradise Valley, and are settling into our accommodations at historic Chico Hot Springs by midafternoon, with time for a short hike or a soak in the hot-springs pool. Our grand finale is a fabulous dinner at Chico’s wonderful restaurant. Take an early morning soak before breakfast if you'd like, then the group makes its way back to Bozeman for flights home anytime after 12 noon. 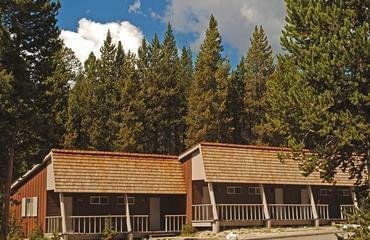 Lake Yellowstone Hotel and cabins is located along the beautiful shores of Yellowstone Lake right within the national park. The hotel first opened in 1891 and is listed on the National Register of Historic Places. Upon your arrival to the hotel you will be greeted by the beautiful sound of a string quartet and a classic and casual elegance throughout your entire stay. 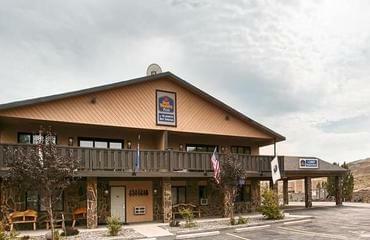 Located just a few short blocks from the north entrance of Yellowstone National Park, the Best Western by Mammoth Hot Springs offers guests a clean and comfortable place to relax after exploring the wonders of the park. 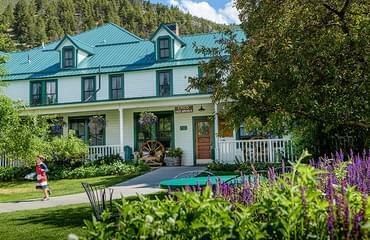 Chico Hot Springs Resort is without a doubt one of the most well-known and all-time favorite Montana hideaways. 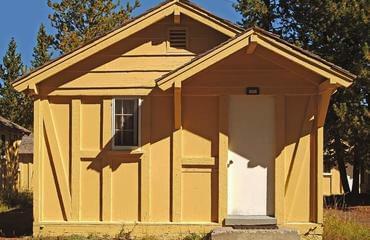 The Victorian Chico Warm Springs Hotel, built of wooden siding typical of the era, opened in 1900 with a grand celebratory ball. Within the next two years, the resort doubled in size, and over the past century has continued to grow in both popularity and size, all the while retaining its appealing casual, friendly, and intimate atmosphere.